Monolithic refractories are typically installed in the field either by casting, gunning or ramming. In order to achieve the desired refractory properties, the material needs to be thermally treated to remove the water used in casting and to achieve the ceramic bonds inside the lining. 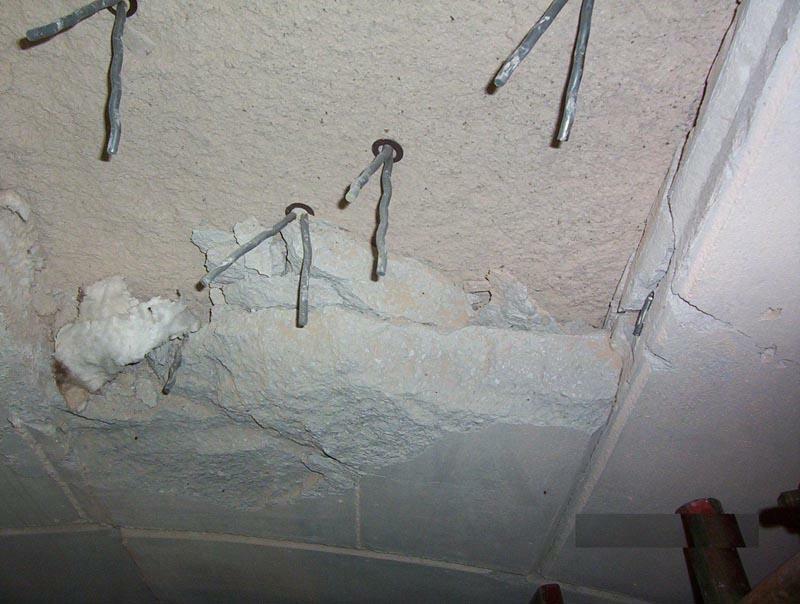 The process of converting the as-installed refractory material into the final lining with the specified physical properties is the refractory dryout. The properties of the final lining are achieved by the culmination of manufacturing controls in the manufacture of the refractory material, adherence to mixing and placement practices specified by the manufacturer, and finally, a proper thermal cycle to drive off the water and complete the chemical reactions. Hotwork has a proprietary burner that is specifically designed for the task of drying refractories. 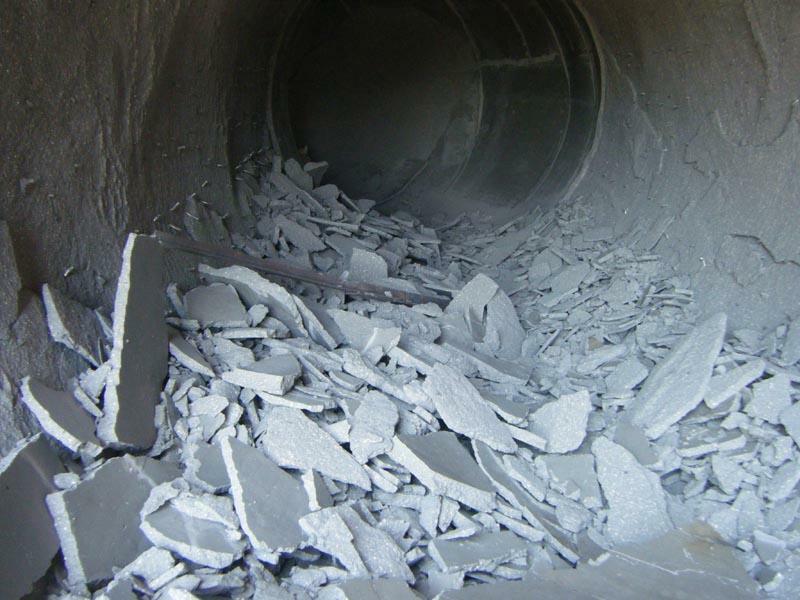 Generally, drying refractory means executing a thermal cycle that starts at ambient temperatures and follows a curve specified by the manufacturer. In addition to the gradual temperature ramp, it is important to pressurize the vessel in order to obtain temperature uniformity and to provide adequate changes in the atmosphere to carry away the moisture that is being evolved from the lining. 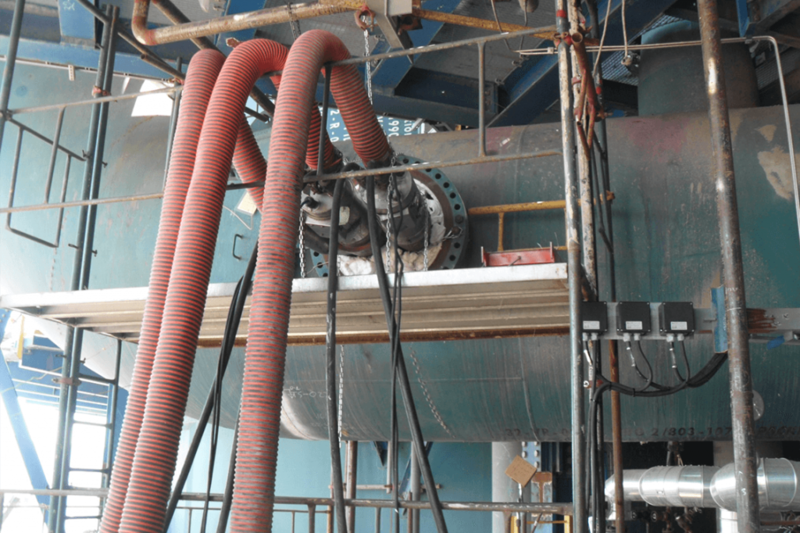 The Hotwork excess air burner is uniquely suited to provide a controlled refractory dryout from ambient temperature throughout the specified dryout curve. Furnace process burners are designed to heat huge process burdens (steel, aluminum, cement, etc) and they are designed to do so at maximum energy efficiency. 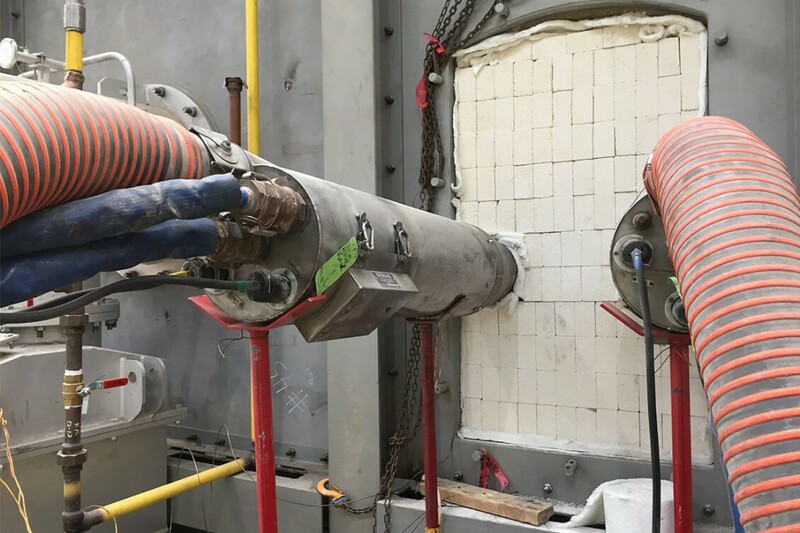 These burners are generally not well suited to operating at low firing rates in order to accomplish the critical low temperature portion of the refractory dryout. In addition, they are typically “ratio burners” that can only turndown about 3 to 1 and, even at minimum fire, have high flame temperatures at the burner discharge nozzle. When they are turned down, the combustion air is also decreased resulting in lower gas volume in the vessel. The Hotwork burner uses full combustion air even at the lowest temperature. This pressurizes the vessel and carries away the evolving moisture. The Hotwork burner produces a low temperature gas stream when the burner is turned down so there is no chance of localized overheating at the burner discharge. The Hotwork burner also has the capability of turning down by a ratio of 25 to 1 or more. 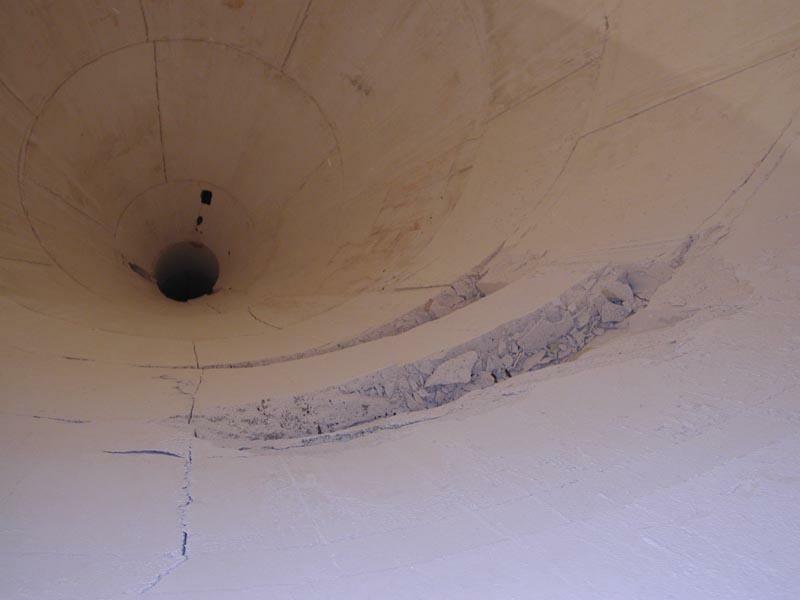 After investing time and money to procure and install a high quality monolithic lining, why take the risk of failure during dryout or of a compromised lining life? A professional refractory dryout can help to ensure that you achieve the results you desire.